In 2010 EAIF supported DP World’s investment in its Dakar port facility. The Emerging Africa Infrastructure Fund (EAIF), a facility of the Private Infrastructure Development Group, was launched in 2002 to mobilise capital into private sector infrastructure projects across Africa. To date it has provided loans for 70 transactions and committed over US$1.3bn in 20 markets. The fund is mostly backed by the governments of the UK, the Netherlands, Sweden and Switzerland and has a focus on investments in fragile African states. Last year Investec Asset Management was appointed as manager of the fund. To learn more about infrastructure financing on the continent, How we made it in Africa spoke to Emilio Cattaneo, EAIF’s executive director, and Investec’s Nazmeera Moola, who heads the investment part of the EAIF. Here are slightly edited extracts of the interview. Can you provide examples of countries where you see potential for new infrastructure projects? We are also looking at an airport in Madagascar, because Madagascar’s huge opportunity is tourism… Because tourism creates low-skilled jobs the benefits are quite significant. And then there is a cement plant that is still in the process of construction in the DRC. Historically, we have also done a lot in the telco space… So the actual infrastructure of telcos is those big telco towers that they put up for several cellphone providers. 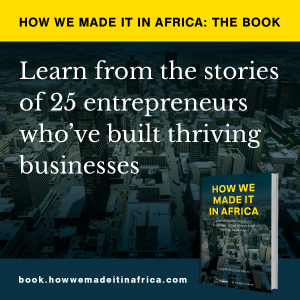 Initially it was the likes of a MTN or Vodacom selling their telco towers, but they were bought by companies which then invested a huge amount to expand those networks – and we were significant investors in that space. One of the companies we supported is Helios Towers. We have provided project finance loans in four different jurisdictions for them, one of which was the DRC. How do the returns of these projects compare to elsewhere in the world – considering that some are in fragile markets? Cattaneo: We are providing loans so our returns are basically based on a LIBOR or a fixed rate, plus a margin. To give you a very rough idea, the actual cost of funding of our facilities might range from an annual cost of 5-10% depending on the project, country, sector, etc. So it’s basically a financial return on a loan rather than an equity return which you might expect to be much higher in these markets. If you look at the fund as a whole, once you have taken into account the cost of running the vehicle, and managing the whole portfolio, we probably had a return of around 2-3% after all costs (although we don’t necessarily calculate it that regularly because our donors don’t look at that as one of the metrics). But I think it is very good, particularly taking into account that we have a relatively low historic loss. In fact our historic losses are almost negligible on this portfolio and we have been lending for 13 years. We are self sustainable in terms of covering our costs, and that is something that is quite important to our shareholders. Our shareholders have historically, and will in the future, be injecting capital to allow us to expand and book more loans. But from a day-to-day perspective we are able to run the fund very comfortably from the income that we generate from the loans that we make, so there is never any requirement to go back to our donors at the end of the year and ask for financing to plug an operational cost gap. And that is quite important I think. So we are effectively self sustainable but we do want to grow and therefore we do look for new sources of capital into our fund from either our donors or other sources to allow that portfolio to continue to grow at the rate that we have been growing. Moola: I think you can get returns that compensate you for the risk in the market. But just to add to Emilio’s point… the EAIF has a very developmental mandate. So for example we will lend 15-year money in Mali for 5% over LIBOR, which you will only get out of development finance institutions. The reason we are comfortable with doing that is we think the credit stacks up, the infrastructure is critical enough to the country that the government is not going to renege on this quite easily, and it’s dollar lending. So that combination provides the comfort. Having said that, if you are looking at project finance returns across the continent, you can get returns that look like LIBOR plus 6-7% if you are willing to have a combination of senior and mezzanine debt in your portfolio. But from EAIF’s perspective it is a balancing of this commercial return and developmental aspect. It’s almost like a three-step check list. First: does the credit make sense and is this a commercially viable transaction? Second: are there developmental benefits? And the third is this word that I have come to grips with over the last year called ‘conditionality’. Conditionality is basically around whether this development funding is required or whether it can be funded by the private sector… And that is how we look at all the transactions. What type of infrastructure do you focus on? Moola: In general, we haven’t done roads. One of the problems with doing roads in Africa is it is very difficult to secure the revenue stream. We are not completely adverse to it, we certainly would look at it if a viable option came up, but as we saw in South Africa with the Gauteng freeway project, the user-charged tolls is not a popular thing. And when governments come under pressure they often step back from charging those fees. But we have done a fair bit in power – across both traditional sources of power, but also increasingly renewable, like hydro and solar. Uganda is a good example of that. We fund eight renewable projects in Uganda at the moment – amounting to a committed portfolio of just over $80m, out of a total portfolio of just under $670m. And the projects we have funded, when they all come on stream, we estimate will account for about 12.5% of Uganda’s total electricity supply. Since the fund was launched in 2002, has it adjusted its strategy or focus? Cattaneo: The fund has existed for 15 years but we have only been lending for 13 because it took about a year and a half to get started, which is quite understandable. But I think that gives us a good perspective in terms of how the market has developed over that time and indeed we still have some of the original facilities on the books. And it has been, at times, quite challenging as well as quite stable. I think we are still finding that where the opportunities in Africa exist is in power and we are still quite focused on that sector. So we have always struggled to diversify the portfolio into things outside power. We currently have about 50% of our assets in power – mostly in electricity generation – and historically we have always been around that level, perhaps a little lower. The challenges to the frameworks to invest in other sectors… like roads… in Africa, as a lender to the private sector, is still not developed that well – outside power generation and areas like telecom towers and fibre optic networks and so on. And I don’t think that is necessarily changing. Where have we seen our role differing from the beginning? Perhaps in the earlier days we were working much more alongside other commercial banks or regional banks that were more liquid or more willing to provide an element of the financing – that certainly would have been the case three or five years ago. This has now changed. There is actually a great reluctance from the commercial banking institutions to co-lend with us. So in a way we are becoming more critical to transactions. We have always worked with other DFIs, like the IFC, but as we have become more experienced, confident and have a better track record, we have found ourselves either leading more projects or being more instrumental in the way that certain contracts are negotiated within projects that we do. I think one of the things we have learned in these projects within the African economies we are focused on, is that there is very little point in terms of calling defaults on loans. If we were a commercial bank or private fund, we would probably want to go into recovery mode straight away when our borrowers get into difficulties – and some of our DFI colleagues at time tend to do that. But we have historically learned that there is a better chance of recovery if you sit down with your borrower and discuss a restructuring of the loan in a way that they are able to service it with the revised cash flows they have generated from their projects. So I think one of the reasons we have got zero capital losses over 13 years of lending, is that there has been many situations where… our experienced team has sat down with borrowers from many different countries basically [discussing] what we can do to keep [their] business… If it means extending the maturity by five years, then we sit down and discuss that. If it means giving a temporary reduction of interest rates, we have done that in the past. So we have experience in negotiating situations like that, which inevitably will arise in these markets, whatever sector you are looking at.